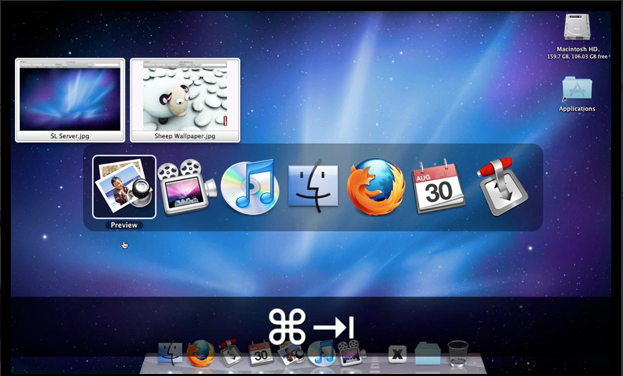 Personalization is all we want, so Dock View is an app which basically extends the Apple Dock and also shows the window previews whenever you point the mouse over an application or even when you use CMD+Tab key. This app which is Apple dock helps you to visualize the windows which you are currently on and also you can find the window very easily which you were finding for. This application is only for the Snow Leopard users. If we have a look at the feature sets then this Dock View app provides the Live reviews, customizable previews of six different styles, click on activate to preview the application which you wish to, badge dock icons, etc. This app doesn’t hack or modify the dock or any file system which is present on your system. You can also window previews for I Tunes, iCal, VLC, MAIL and also for Quick time. Also, in the latest version, an error of 654 as per the space application has been now solved. You can download the Dock View as a free version but the full version of Dock View will cost 7.99$ but its better to try this app before you make your mind to purchase the full version of this app.